Address : No. 5-3C, East Tower, World Trade Center, Colombo 1, Sri Lanka. Address : No.100, Lake Drive, Colombo 8, Sri Lanka. Residence Address : No.176, Lake Drive, Colombo 8, Sri Lanka. Residence Address : No. 8, Kynsey Terrace, Colombo 8, Sri Lanka. Address : No.117, Sir Chittampalam A Gardiner Mawatha, Colombo 2. Residence Address : No.9, Rotherfield Place, Colombo 7, Sri Lanka. Address : No.104, Nawala Road, Narahenpita, Colombo 5, Sri Lanka. Address : No.41, W.A.D. Ramanayake Mawatha, Colombo 2, Sri Lanka. Residence Address : No.99, Braybrooke Place, Colombo 2, Sri Lanka. Honorary Consul, General Gerard Manik Pereira J.P. Address : Consulate Of Ireland “Pership House (One)”, No.72C, Bauddhaloka Mawatha, Colombo 4, Sri Lanka. Residence Address : No.33, Skelton Road, Colombo 5, Sri Lanka. Address : No.334, T.B. Jayah Mawatha, Colombo 10, Sri Lanka. Address : 60/7, 1/1, Horton Place, LK00700 Colombo 7, Sri Lanka. Residence Address : “Mount Batten House” No.11, Pedris Road, Colombo 3, Sri Lanka. Residence Address : No.11A, Sri Saranankara Road, Pamankada, Dehiwala, Sri lanka. Residence Address : Flat No.31, Baurs Building 7, Upper Chatham Street, Colombo 1, Sri Lanka. Address : No.50, Sir Marcus Fernando Mawatha, Colombo 7, Sri Lanka. Residence Address : No.147, Right Circular Road, Jayanthipura, Battaramulla, Sri Lanka. Address : 53/4 Ananda Kumaraswamy Mawatha, Colombo 3, Sri Lanka. Residence Address : No.80, Green Path, Colombo 7, Sri Lanka. Address : No.400, Deans Road, Colombo 10, Sri Lanka. Residence Address : No.119, Kynsey Road, Colombo 7, Sri Lanka. ADDRESS: No.245/47, OLD AVISSAWELLA ROAD, ORUGODAWATTE. SRI LANKA. RESIDENCE ADDRESS: NO.15 SAKVITI LANE, COLOMBO 5, SRI LANKA. Address : No.329, Park Road, Colombo 5, Sri Lanka. Residence Address : No.329, Park Road, Colombo 5, Sri Lanka. Address : No.36 Dudley Senanayake Mawatha,Colombo 8, Sri Lanka. Residence Address : No.536, Seible Place, Kandy, Sri Lanka. Address : “Alliance House”, No.84, Ward Place, Colombo 7, Sri Lanka. Residence Address : No.152, Batapandurawatte Road, Siyambalagoda, Polgasowita, Sri Lanka. Address : C/O Brandix Lanka Ltd, 409, 2nd Floor Galle Road, Colombo 3, Sri Lanka. Residence Address : No.47/1 Ward Place, Colombo 7, Sri Lanka. Address : No.255, R.A.De Mel Mawatha, Colombo 3, Sri Lanka. Residence Address : No.10, Hemasinghe Mawatha, Koswatte, Nawala, Sri Lanka. Address : No.83, George R.De Silva Mawatha, Colombo 13, Sri Lanka. Residence Address : No.12, Queens Terrace, Colombo 3, Sri Lanka. Address : No.12, De Fonseka Place, Colombo 5, Sri Lanka. Residence Address : No.12, De Fonseka Place, Colombo 5, Sri Lanka. Address : NO.29,West Tower, World Trade Centre, Echelon Square, Colombo 01, Sri Lanka. Address : No.56/5, Sarasavi Lane, Castle Street, Colombo 8, Sri Lanka. Residence Address : No.55, Bodhiya Road, Mirihana, Nugegoda, Sri Lanka. Address : Hotel Suisse, No. 30, Sangarajah Mawatha, Kandy, Sri Lanka. Address : No.120/1, Stanley Thilakaratne Mawatha, Nugegoda, Sri Lanka. Address : No.7, Siripa Lane, Colombo 5, Sri Lanka. Residence Address : No.7, Siripa Lane, Colombo 5, Sri Lanka. Address : C/O. Nawaloka Holdings (Pvt.) Ltd, No. 73, Sir James Peiris Mawatha, Colombo 02,Sri Lanka. Residence Address : No.7, Longdon Terrace, Colombo 07, Sri Lanka. Address : No.130, Level 1, Nawala Road, Narahenpita, Colombo 5, Sri Lanka. Residence Address : No.130, Level 1, Nawala Road, Narahenpita, Colombo 5, Sri Lanka. Address : Mount Lavinia Hotel, No.100, Hotel Road, Mount Lavinia, Sri Lanka. Residence Address : No.22, Maitland Crescent, Colombo 7, Sri Lanka. Address : Level 9- East Tower, World Trade Centre, Colombo 1, Sri Lanka. Residence Address : No.82, Main Street, Ja-ela, Sri Lanka. 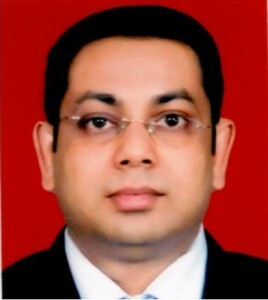 Address : No.33,1/1, Lester James Peiris Mawatha, Colombo 5, Sri Lanka. Residence Address : No.22, Anderson Road, Colombo 5, Sri Lanka. Address : No.102, Union Place, Colombo 2, Sri Lanka. Residence Address : “Torrington House” No.20, Torrington Avenue, Colombo 7, Sri Lanka. Address : No.40/1, Dickmans Road, Colombo 5, Sri Lanka. Residence Address : No.85, Issipathana Mawatha, Colombo 5, Sri Lanka. Address : No.117, Hunupitiya Lake Road, Colombo 2, Sri Lanka. Residence Address : No.21, Simon Hewavitharana Road, Colombo 3, Sri Lanka. WORKING DAYS & HOURS: Weekdays 10.00 a.m. – 3.00 p.m. Address : No.284,Vauxhall Street,Colombo 2,Sri Lanka. ADDRESS: EML Building, 5th Floor, No.61, W.A.D Ramanayaka Mawatha, Colombo 2, Sri lanka. ADDRESS: No.90, Cotta Road, Colombo 08, Sri lanka. RESIDENCE ADDRESS: No.168/7 Siripura Gardens, Rajamahavihara Road,Pitta Kotte, Sri lanka. RESIDENCE ADDRESS: NO.27 “SRI PADMA” KATUNAYAKE,SRI LANKA. RESIDENCE ADDRESS: NO.7A, CAMBRIDGE PLACE,COLOMBO 7, SRI LANKA. Address : 60/1, Park Street, Colombo 02, Sri Lanka. Residence Address : 81/3, Barnes Place, Colombo 07, Sri Lanka. Address : “Maliban Building” No.380, Galle Road, Colombo 03, Sri Lanka. Residence Address : No.1, Claessen Place, Havelock Town, Colombo 05, Sri Lanka. www.eta.gov.lk : Visa details for Sri Lanka.